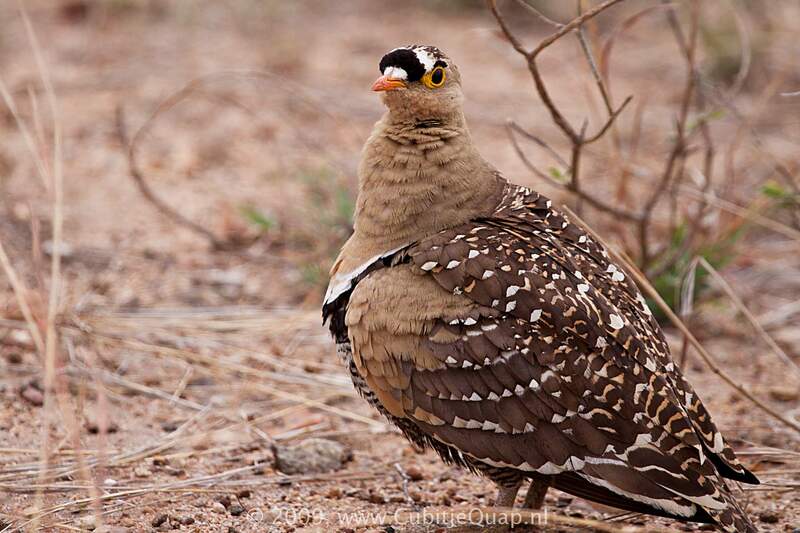 This species most resembles Namaqua Sandgrouse but male is identified by the black-and-white markings on the forehead, and the barring on the lower breast and belly. 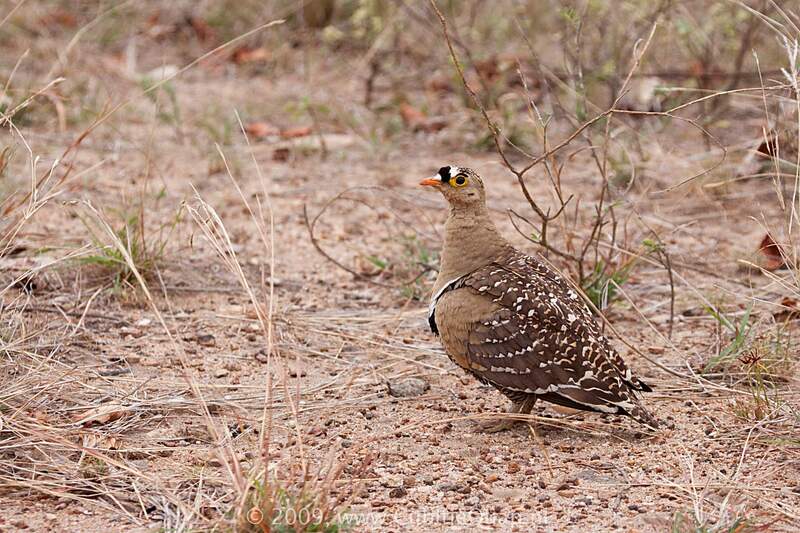 Male Double-banded and Namaqua Sandgrouse both have a thin black-and-white breastband. Female and juvenile may be distinguished from female and juvenile Namaqua Sandgrouse by their darker, streaked crown, barred (not streaked) upper breast, and rounded (not pointed) tail. Woodland and savanna. Flocks gather at drinking sites at dusk. A whistling 'chwee-chee-chee' and a soft 'wee-chee-choo-chip-chip' flight call.